Opens the OAuth2 login from Microsoft. Before the login process is started, the current configuration is saved automatically. 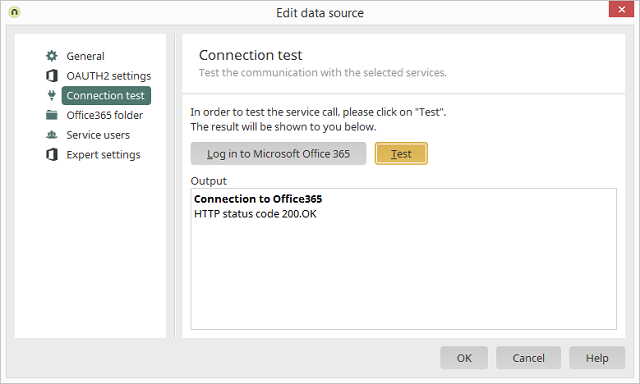 You need to be logged in to Microsoft to test the connection. Therefore, please log in before performing the test.